November is all about Thanksgiving, turkeys, and the pilgrims. 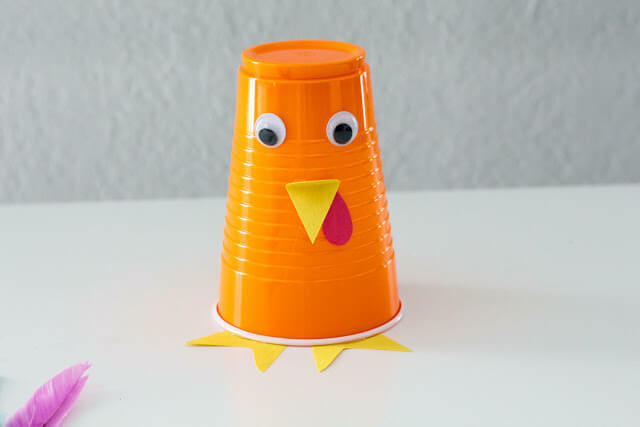 Kids will love making this fun Simple Turkey Craft that uses a cup as the turkey’s body. 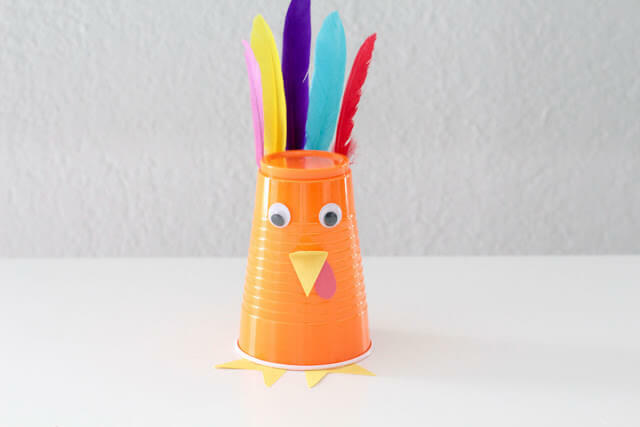 This super cute, simple turkey craft can be used as a decoration after it is made. 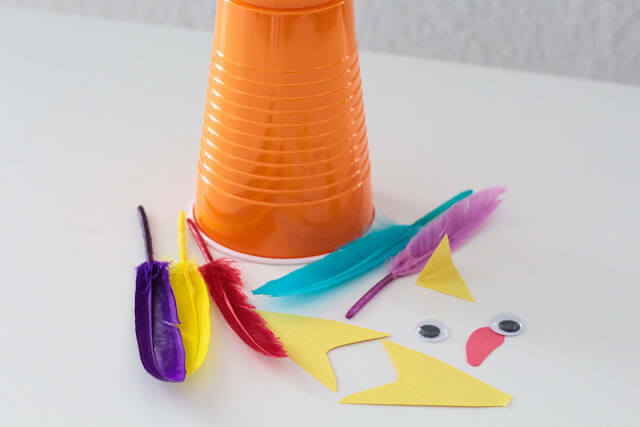 Kids will be especially delighted by this turkey craft because it has large googly eyes that move around when you shake it and real feathers as its tail. If you don’t have real feathers, you can also make feathers from paper and use those instead. 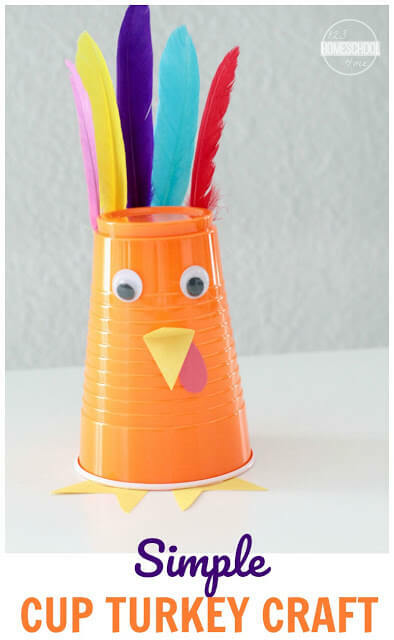 Make this craft when studying Thanksgiving or turkeys. It would make a fun addition to any turkey unit study or Thanksgiving unit study in November. Cut out two feet and a beak for the turkey from yellow paper. We didn’t use orange in this case because our turkey’s body was orange, but if you use other colors of paper you can use orange for the beak and feet. Cut out a small waddle from red paper. Glue the beak, feet, and waddle to the turkey. Glue the feathers to the back of the cup and the googly eyes to the front. You may need to trim the feathers a bit to make them fit better against the back of the cup. It will depend on the size of your feathers and cup. Wait for the glue to dry before playing with or displaying the turkey. If you’re in a hurry, you can use hot glue for faster drying time.